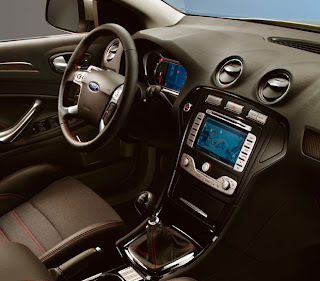 The Ford Mondeo is a large family car sold by the Ford Motor Company in various markets throughout the world. 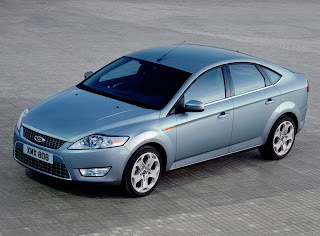 The name "Mondeo" derives from the Latin word mundus, meaning "world". The initial generation of the Mondeo was developed as a "world car", along with North American models marketed as the Ford Contour and Mercury Mystique until 2000. The Mk4 Ford Mondeo was released in May 2007 in the UK where it is currently available in five different trim levels: Edge, Zetec, Ghia, Titanium and Titanium X. In February 2008, Ford announced that in some European markets the Ford Mondeo will be made available with a new Titanium S series trim. This model aims to add an even more 'sporty character' than the current Titanium series. 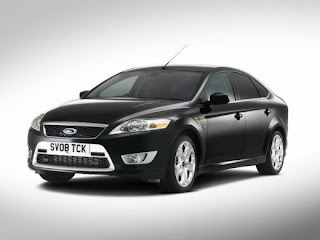 In March 2008, a new 2.2 175 PS (128.7 kW; 172.6 bhp) TDCi common-rail diesel engine will be available on Ford Mondeo providing acceleration to 0-60 mph in 8.4 seconds on the saloon and fuel consumption of returning 45.6 mpg combined (this engine was replaced with the 2.0l TDCi 163 returning a combined 53.3mpg imp gallons,[clarification needed] with a marginal loss of performance). Also available in March 2008 will be Ford Mondeo ECOnetic based on the Zetec series. The Mondeo ECOnetic is powered with a 2.0 115 PS (84.6 kW; 113.4 bhp) TDCI diesel that returns CO2 ratings of just 139 g/km on the 5-door. As with the previous model, the Mk4 Mondeo is not marketed in the US or Canada because Ford currently sells the same-class Fusion, which was launched in 2005. The new Ford Mondeo is not sold currently in Venezuela, Brazil or Colombia because the Fusion is sold locally, nor is it offered in Mexico, although the Mk3 model was popular there. It is, however, sold in Argentina. The 2007 Ford Mondeo marked the return to the Australian market after a six-year absence, due to a resurgence in popularity of medium-sized cars in the last few years. This is in no small part the result of high fuel prices making people reconsider purchasing large cars like the Ford Falcon. 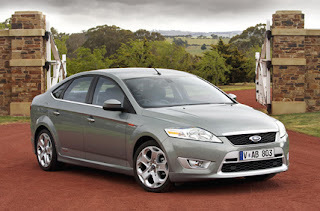 Marketing for the Ford Mondeo in Australia has so far focused on the theme that the Ford Mondeo looks good but offers even more than style, with television commercials showing silly quotes from celebrities such as Britney Spears ("I've been to lots of overseas places... like Canada") interspersed with scenes of the vehicle and finally the slogan "more than just good looks". The Mk4 Mondeo was named one of two cars for the 2007 "Car of the Year" award by Top Gear on 23 December 2007 (the other being the Subaru Legacy Outback). 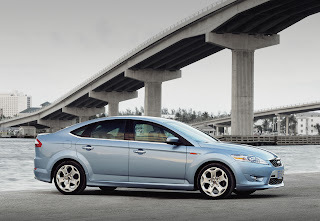 By the end of 2010 a facelifted Mk4 Mondeo was introduced with changes such as the new ecoboost engines and LED daytime running lights. The final changes was shown at the 2010 Moscow International Motor Show. The front and rear of the car have minor changes, the biggest being the new Kinetic Design. The interior is improved with a better use of materials. The Ghia trim line has been totally removed from UK markets, so the Titanium takes over as the top of the range models, along with the saloon. The new econetic has higher mpg and further reduced CO2emissions thanks to Stop-Start technology. Also introduced is an improved version of the 2.2L PSA diesel engine, delivering a healthy 200PS. This facelift is prompted by similar revisions to the S-MAX which was launched in summer 2010.